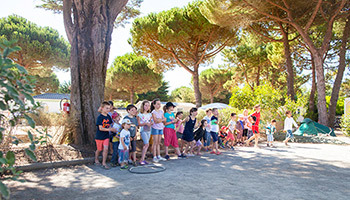 Modern, spacious and stylishly decorated, for new generation camping this type of accommodation offers numerous advantages. 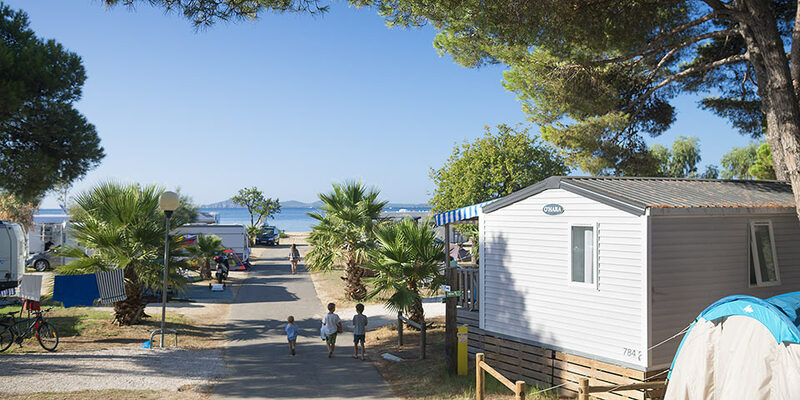 In addition to the private camping area, the Privilege chalets and mobile homes offer you access to extra services and and equipment included in the price : TV, unlimited WIFI (1 user), dish washer. The advantages : Sleeps 6/8, 3 bedrooms (2 static caravans), couvered terrace, dish washer, TV. New for 2019! Discover our new ARCHIPEL range. 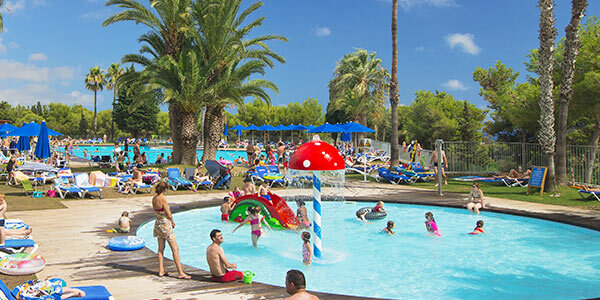 Tailor made accommodation for big families and groups. You’ll have 2 mobile homes opposite each other as well as a large shared covered terrace. Each mobile home has its own kitchen, a lounge with TV, a shower room and separate WC. Included: a dishwasher in the 2 room mobile home. Please note that our animal friends are not allowed in this accommodation. 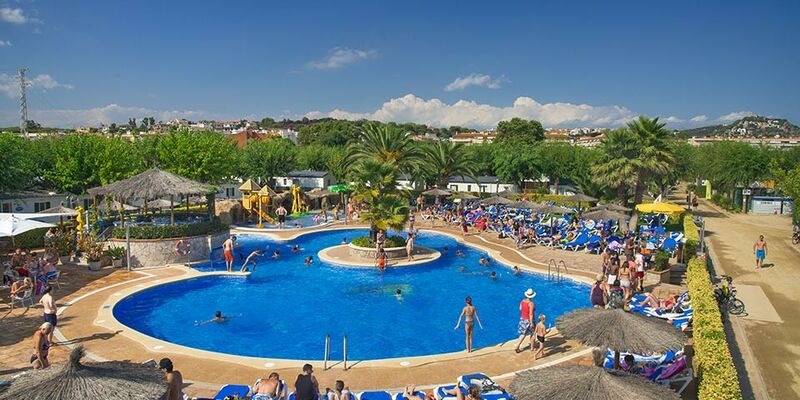 You could also relax on a sunbed around the heated outdoor pool whilst the kids make new friends at the children's club. 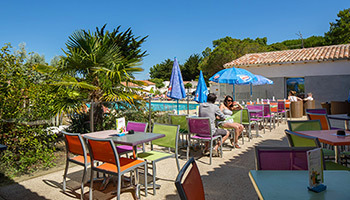 Le Suroit offers a warm friendly atmosphere for relaxing holidays, with quality services such as restaurant, bar, barbecue and even access to a washing machine and tumble dryer. Please note : barbecues are prohibited by municipal law in our campsite. Services close on 15 September. Le Suroit proposes a friendly atmosphere for relaxing holidays with quality service. 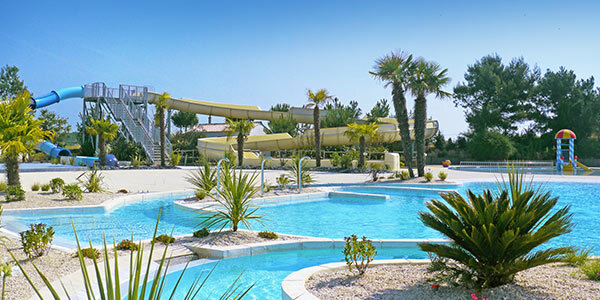 Le Suroit campsite is perfectly situated on the Ile de Ré, facing the ocean. 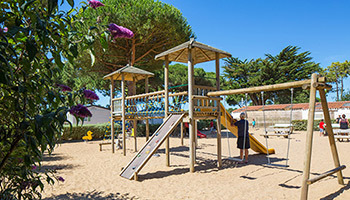 With direct access to the sandy beach just 600m away, Le Suroit is also situated just 600m from the unique village Bois Plage en Ré. From Paris, take the motorway A10 direction Bordeaux then exit33 direction La Rochelle. At La Rochelle, take the ring road N237 direction Ile de Ré. Once across the 3m long bridge, at the roundabout take the 3rd exit D201. 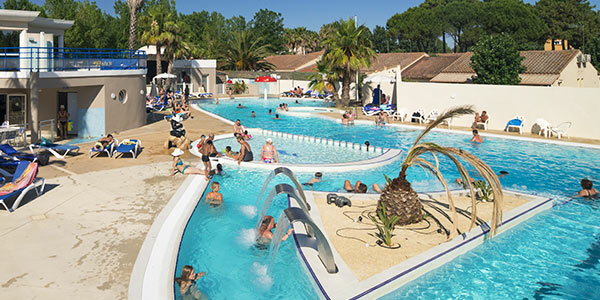 Continue straight ahead to village Bois Plage en Ré, take the third exit and the campsite is on the left. 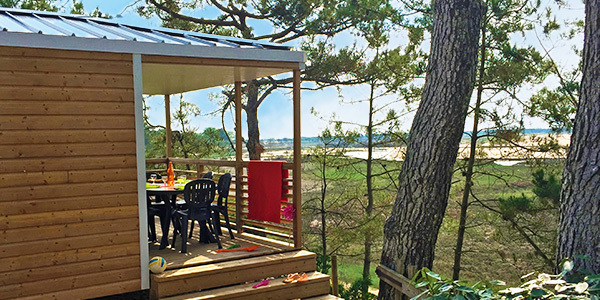 Discover the various scenery of Ile de Ré : sandy beaches, marinas, forests, salt marches. 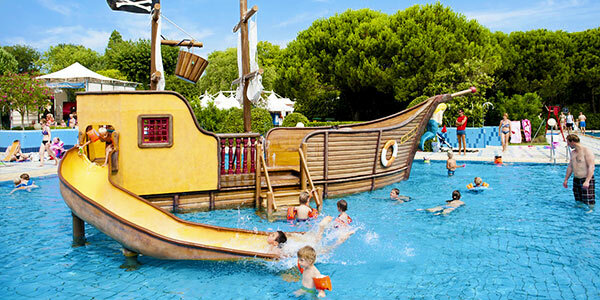 Without forgetting the Charente Maritime which boasts numerous activities for all the family.